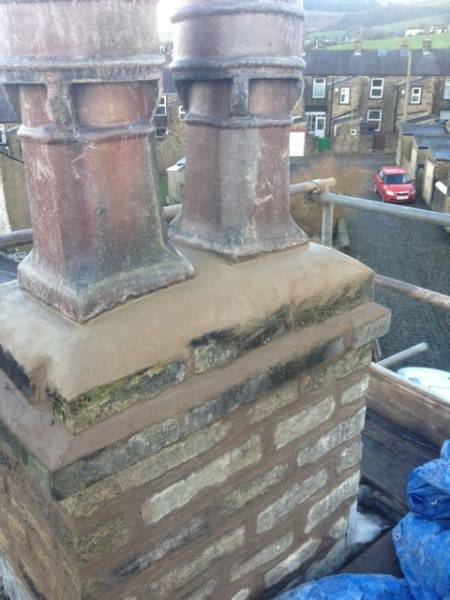 TF Building is a Skipton based roofer. 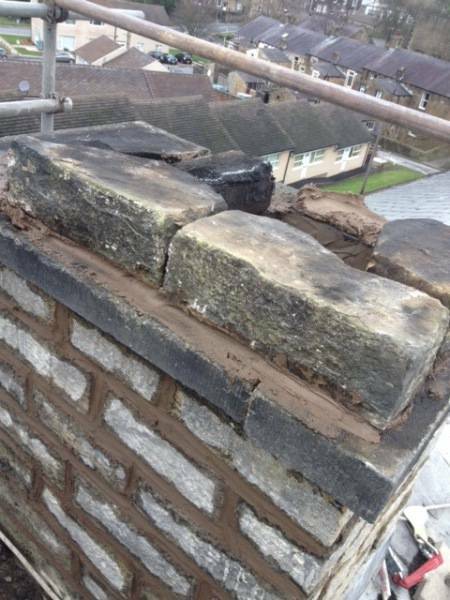 From small repair work to full re-roofs undertaken. 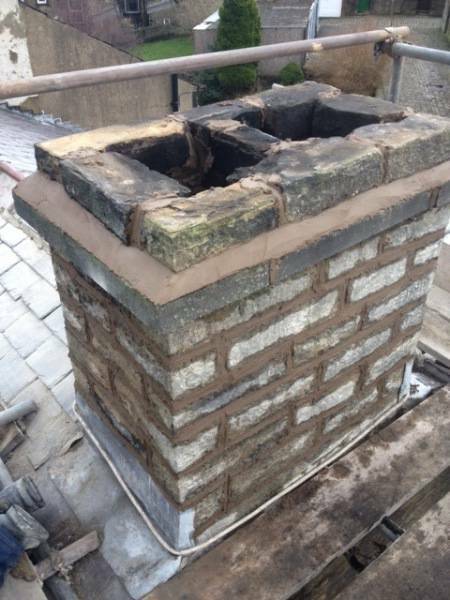 This is a chimney that was in quite a bad state when we arrived. 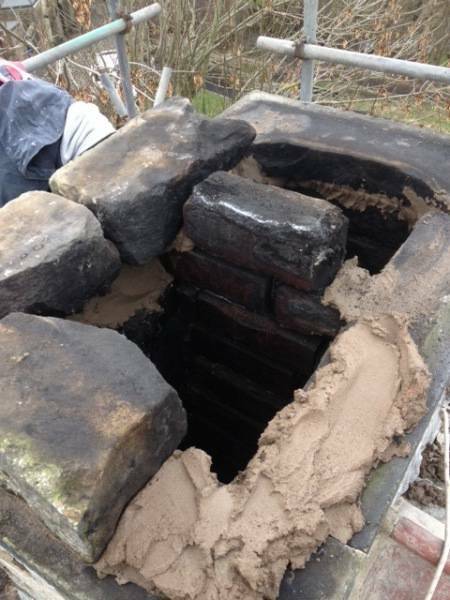 The stone courses were very loose making it dangerous and water was penetrating the building. 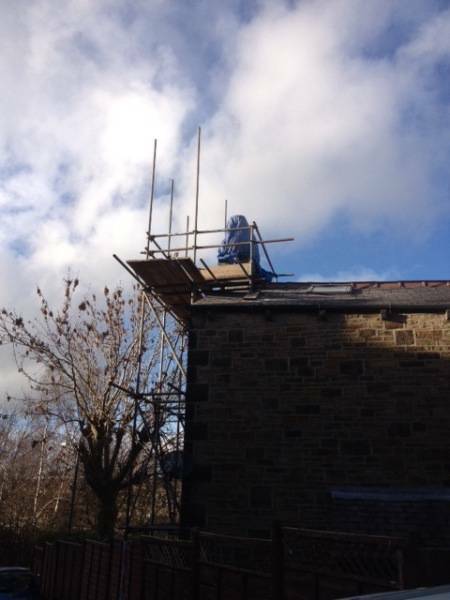 First things first is safety for us so scaffolding was put up the gable end to allow safe access to the problem area. 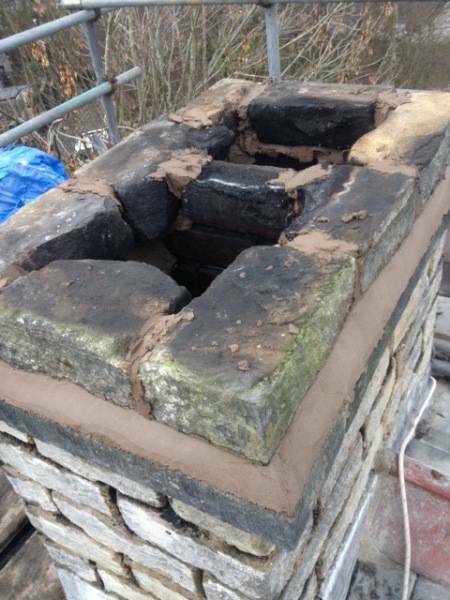 Our roofers removed the courses until we his a solid base to rebuild the chimney on. 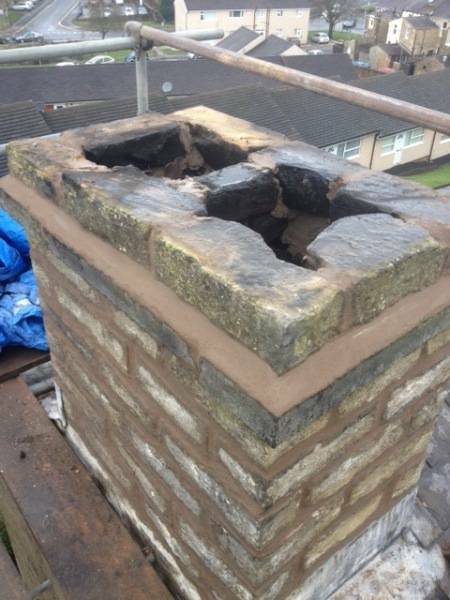 The lower levels of the chimney were ground out and repointed, resealing the lead work. the courses were guilted back up and pointed to brush finish. 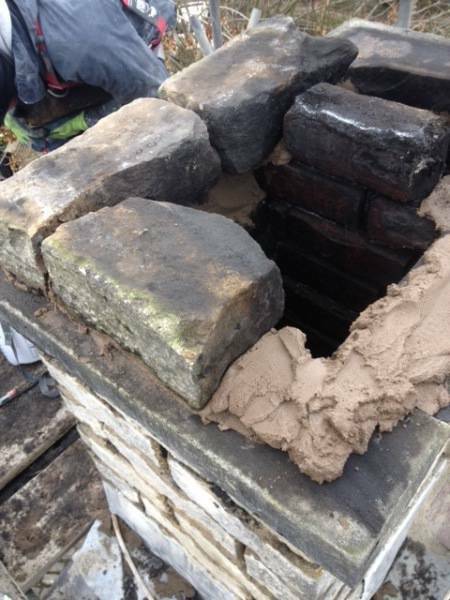 Finally the chimney pots are sat back on making a cement dome with extra granite in the mix to hold then secure. 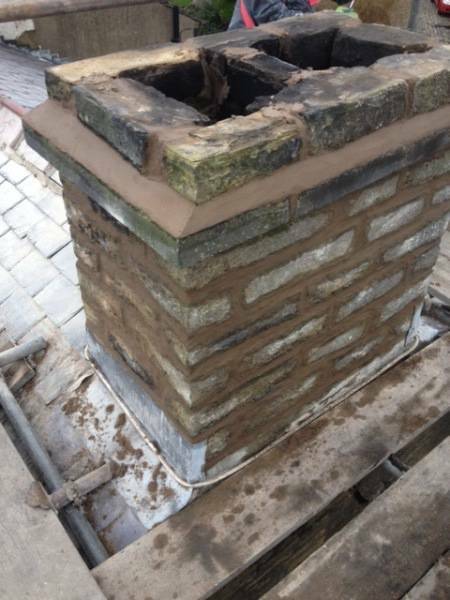 All the pointing is formed in a way so water will run off and not puddle on the chimney anywhere. 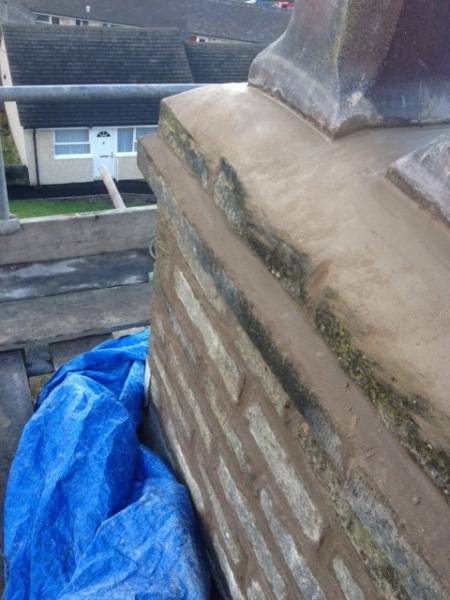 TF Building is a Skipton based roofer and guttering repair specialist. 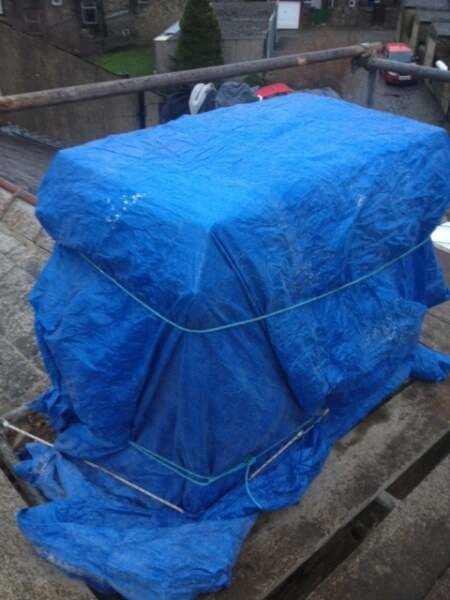 call us on 07985711011 if you would like a quote for any roofing work to your property. 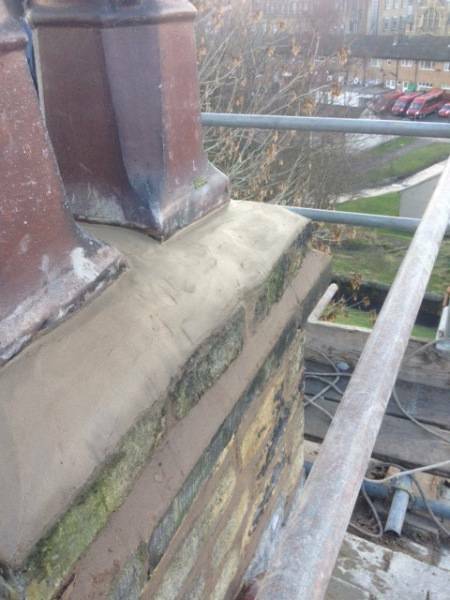 Leaking gutters, loose ridge tiles, slipped slated and tired lead work can all be easily fixed and if kept on to of can save you money in the long run. 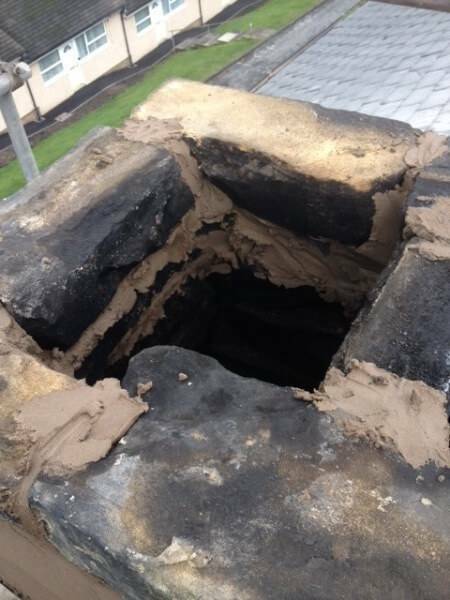 Our roofers can help.